Is it possible to avoid cross-loading a carabiner? I'm not sure, but some people might find success with the BD Gridlock. We didn't find success, and were actually quite disappointed. I haven't really researched other people's experiences, so this is strictly a quick review based on our initial use. I'd rather post positive reviews, but we were so disappointed with the Gridlock's tendency to crossload with a Grigri, that I decided to share my thoughts. There have been a few innovations in the past that have been improvements over a standard HMS or belay biner. The typical concept is to restrict the ability of the locking belay carabiner to rotate through/around/about the belay loop. With few exceptions, it seems as if cross-loading occurs with short lead falls or top-roping falls. Forces tend to be low in these situations, well within the tolerances of even the most flyweight locking carabiners. 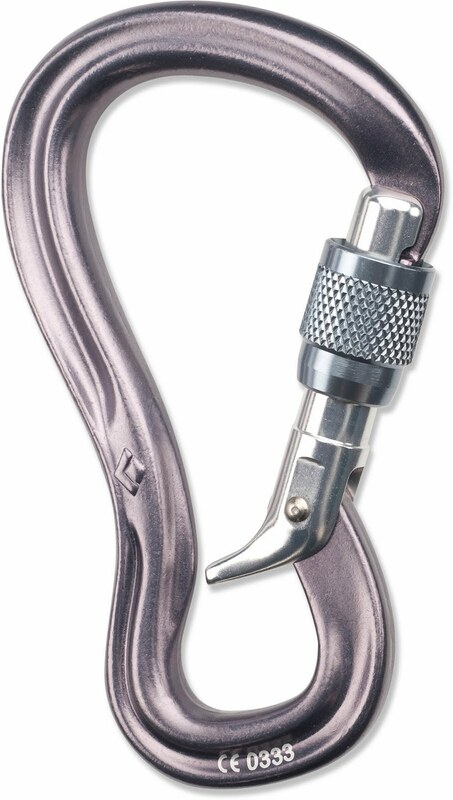 I also tend to notice that it occurs slightly more with a Grigri than other belay devices, and in these instances it seems to occur with rounded HMS biners the most, then standard pear HMS. With a Grigri it actually seems rare for it to occur with lightweight modified D carabiners - hence my preference of just using a Petzl Am'D or something similar. 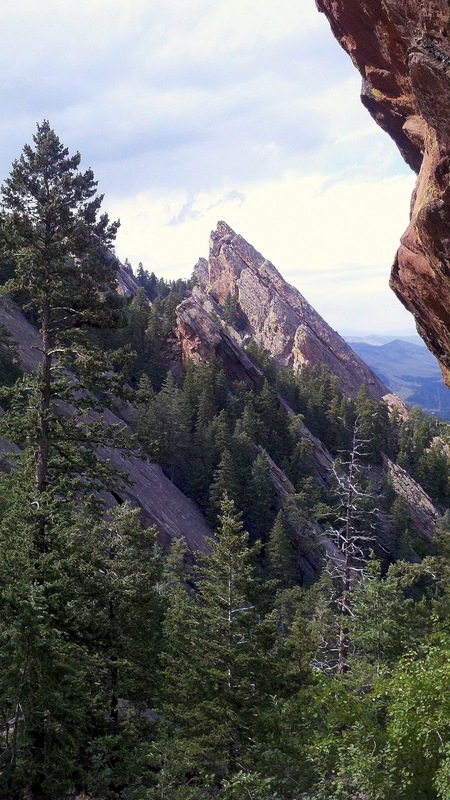 Following the opening of the Amphitheater, the Sphynx, Skunk Canyon, and the Sacred Cliffs in May and June, The Third Flatiron and several other formations were opened to all uses on July 25. Boulder Mountain Parks and Open Spaces has lifted some of the seasonal closures as the raptor breeding season comes to a close. Major areas and formations opened on the 25th include: the entire Third Flatiron, its descent trail, the Ironing Boards, the Green Thumb, the Ghetto and Queen Anne's Head, the remaining Shadow Canyon formations (Devil's Thumb Ridge, Towers of the Moon, and Jamcrack Spire), the Goose/Goose Eggs, Nebel Horn Ridge, East Ridge, and Bear Creek Spire. The only remaining OSMP climbing formations affecting the Flatirons and Eldo climbers are the Mickey Mouse Wall and an area encompassing both the Back Porch and the Box. These closures are still slated to be lifted on July 31. As always, when you are thinking about heading out to some of these formations or even heading out for a trail run, it's worth a check on the OSMP closures page to verify that your destination or trail is indeed open. Though the 2011 raptor report isn't out yet, the Daily Camera cited city officials saying that there were four peregrine pairs with ten fledglings. No mention of prarie falcons yet. There were four prairie falcon fledglings on Mickey Mouse Wall last year, and I'm guessing that there may be more this year. The Box likely has a successful nest as well, based on the fact this was a new closure listed with the Back Porch, and it remains closed. Ueli Steck is making a name for himself. He's pushing faster and faster times on what used to be testpiece alpine routes. He's a visible part of each generation's trend to push beyond perceived barriers. This process is interesting to examine, and attempt to guess the relative weight of physiological versus psychological factors, as well as their interaction. Ueli Steck - The Swiss Machine from Mountain Hardwear on Vimeo. This isn't a brand new video. While many of the climbing scenes are obviously posed, based on his pace on these formations, it's not that far off. Whether it's posed or not, it's pretty entertaining to watch Steck hustle up these daunting routes. He is most certainly not doing the rest step and he is likely violating the "three points of contact" rule occasionally. A while back, he was in Yosemite. Day one consisted of a "warm-up" run up the Nose. Day two was on the Nose again, to try to pick up speed. I like where he is going with that attitude. I feel like I've come across this quote more than a few times recently. Meanwhile, I'm realizing how much I don't like the concept of "everything in moderation". I know that I sometimes make small changes to slowly work towards a goal. As I've gotten older, I've realized that small changes or small actions don't move me forward very quickly. If we are goal oriented, then our steps need to be significant. "Everything in moderation" can become a cop-out, letting us pretend like we are actually working towards a goal. Deciding to take big steps is empowering. But most of the time it's not like jumping into the deep end of the pool; it's more subtle, when we just know and act. When we are honest with ourselves about how effective we are moving towards a goal, or how ready we are to tackle it, it's a lot easier to make the necessary changes. It also might mean that we are ready for the final step. It might be time to cut out food x or beverage x; it might be time to forget about completing every route in our training pyramid and getting on our goal route; it might be that we have accumulated enough experience to ski that scary shot at the far end of the cirque. Whatever the goal, there comes a time to really commit to attaining or completing it. "Everything in moderation" is not the ticket to get us there. This leads into my thought for the day: Commitment to a goal means forgetting moderation. Big actions provide big results. I like using the weakest link principle to plan for improvement. In our time-crunched society, focusing attention on the weakest link (or greatest limitation) provides the biggest gains in overall performance. That's simple enough. Although it could satisfy the ego to spend time working in areas in which we are already strong, this does little to improve our performance in the long-term. In fact, as our weaker areas become weaker, we create a bigger and bigger imbalance, and injuries and dissatisfaction are likely to result. Stroking the ego = downward spiral in long-term performance and health. Why did my ski instructor tell me to turn with my legs?